Linda K. Wagner, 61 of Fremont died at her home on Monday, September 3, 2018. Linda was born in Fremont on June 21, 1957 to Gordon and Kathryn (Thompson) Roach. She graduated from Fremont Ross High School in 1975 and had recently retired from the Crescent Manufacturing Co.
Mrs. Wagner enjoyed scrapbooking, knitting, crocheting as well as gardening. Her most precious time, however, was spent with her grandchildren. 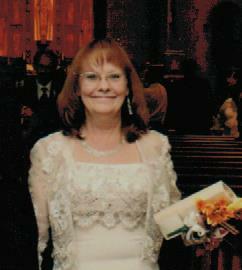 Linda married Harold Richard "Rick" Wagner on October 11, 2005. Survivors include children, Nicholas (Traecy) Kieffer of Clyde; Nina (Jon) Dabrunz of Fremont and Stacey (Dustin) Williams of Marysville, Ohio. Eight grandchildren, Summer, GraceLynn, Aleena and Prezley Kieffer; Zachary Dabrunz , Andreya Albrecht ; and Guinevere Williams and Jonah Williams. Three brothers, Gordon (Connie) Roach of Erie, Michigan; Mark (Nancy) Roach of Fremont; Scott Roach of Fremont and one sister, Connie (Tim) Schaaf of Chagrin Falls, Ohio. Her mother, Kathryn Roach survives in Fremont. Linda was preceded in death by her husband, Harold Richard "Rick" Wagner and her father, Gordon Roach. A service will be held at 9:15 am on Saturday, September 8, 2018 followed by a gathering of family and friends from 10:00 am until Noon at Mitchell-Auxter Funeral Home, 218 South Main St., Clyde, Ohio. At 1:00 pm family and friends at invited to share time and memories at the Sandusky Township Fire Station, 2207 Oak Harbor Road, Fremont. Memorials may be made to the Donor's Choice.